Double LP version. "Straight outta Camden, NJ it's Chocolate Star. 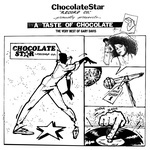 Starting in 1980, Chocolate Star served as the outlet for the music of Gary Davis. Gary started Chocolate Star with his long time Camden compatriot Dennis 'DJ' Jones after a few years spent under the wing of Peter Brown at P&P Records. But Gary's storied involvement in music goes back further than that, having studied composition and arrangement with the late jazz great Manny Albam. Gary's musical education actually started earlier than that as one of the people he learned the most from was his uncle, famed jazz organist Richard 'Groove' Holmes. 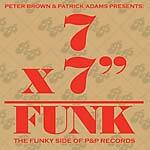 When you combined the funk Mr. Davis inherited from 'Groove', with the street-sense of Peter Brown with the skillful composition and arrangements learned from Manny Albam, you've got Chocolate Star. Playing with a band composed of (very talented) people from his Camden neighborhood Davis released cut after cut of solid funk filled dance music. 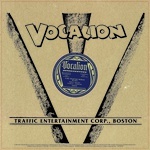 They're all compiled here, from the Joe Sample-inspired 'Gee Dee', to one of first commercial releases to lay the beat down with a drum machine in "The Pop". Of course prominently featured is the legendary mover 'Gotta Get Your Love.' A Taste Of Chocolate: The Very Best of Gary Davis has been assembled with Mr. Davis and whenever possible using Gary's original masters. These cuts bridge the disco era, into hip hop and the earliest forms of house. Talented, versatile, and still able to get you out of your chair and shaking your behind...this is Chocolate Star. 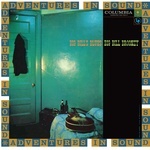 This is the very best of Gary Davis." 2018 repress. 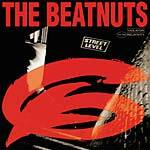 "The self titled record called The Beatnuts, or more affectionately referred to as Street Level, is the full length debut album by the Queens trio. It was released on June 21, 1994 by Relativity Records just a year after their impressive debut EP, Intoxicated Demons had turned the Hip Hop world on its ear. 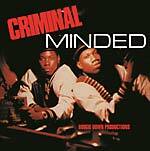 The cutting edge production is supplied by Juju and Psycho Les themselves, with contributions from V.I.C. and Lucien (A Tribe Called Quest). 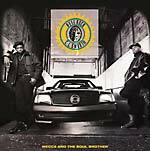 It features guest appearances by Grand Puba (Brand Nubian), Miss Jones and DJ Sinister (The X-Exutioners) amongst others." "Now-Again presents its third Oh No library offering: heavy hip hop based on samples from the Now-Again Catalog. 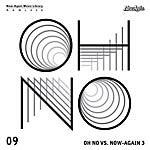 Oh No's debut album for Now-Again was also the first in our music library series -- and was one of our most successful exercises in creating modern 'library music' for easy synchronization. For this, his third entry, Oh No combs through the vast array of Now-Again's catalog -- from American soul, funk and jazz to Zambian hard rock to Australian prog to Swedish psych -- create a series of beats that range in mood and style and all contain Oh No's trademark swagger. Fans of the variety of projects that Oh No is a part -- from his Gangrene project with Alchemist to his production for the likes of Jedi Mind Tricks, Action Bronson and Talib Kweli -- will be pleased with the variety of beats contained within. This limited edition is CD is packaged in a 'mini-LP' gatefold and is available in limited quantities. Once they're gone, they're gone." 2017 repress, originally released 2007. "Dinosaur L is an alias donned by Arthur Russell, a man whose contribution to dance music from the late seventies and through the eighties was formidable but only quietly acknowledged. His innovative and left field dance records were way ahead of what people were used to hearing at the time. He was a cellist who studied classical and Indian music. As well as his great strides in dance music he was also involved in the New York downtown avant-garde music scene and produced some albums in a more avant-garde/experimental vein as well as trying his own unique approach to pop. He scored several hits on the underground New York dance scene at clubs like The Paradise Garage (Larry Levan was a huge supporter). His biggest tunes, 'Go Bang!' and 'Is It All Over My Face?' were worldwide club hits and are still played today as classics. His records have influenced the scene from his first dance record in 1979 to the present day and his work has been much sampled. Sadly Arthur died in 1992, but his music lives on and his influence is still felt on the dance music scene, his tunes still sound great and are still moving many dancers around the world, so his spirit lives on. Sleeping Bag Records and Traffic Entertainment Group is proud to present Dinosaur L's 24->24 Music for the first time ever on double LP. 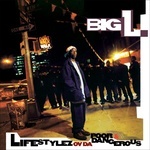 Includes the original album tracklisting plus rare 12" remixes and edits." "How do you define the music of Mantronix? Is it Hip hop? Electro? Funk? House? Maybe the answer is all of the above (or is it none of the above?). It is true that Mantronix will be remembered for their multi-faceted sound as well as their ability to bend and blend genres flawlessly into a cohesive musical tapestry, but they will also most importantly they will be remembered as musical innovators and sub- genre pioneers. 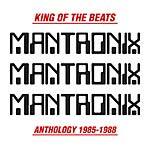 Now available for the first time ever, Traffic Entertainment Group in conjunction with Sleeping Bag Records and Warlock Entertainment present: Mantronix: King of the Beats The Anthology 1985-1988. This two disc carefully curated compilation combines the best of Mantronix's work from the early, and arguably, best era of their career into one amazing listening experience. Whether you are an avid Mantronix fan or are looking for a place to start - this is the collection to wrap your ears around." 2016 repress; 2010 reissue. 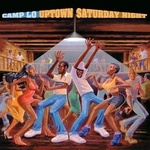 "Camp Lo's first record, which did not disappoint. It struck the perfect balance between club tracks and underground bangers for the mixtape crowd. Critically acclaimed and fan approved, this late '90s album must-have was complimented by the incredible cover art illustrated by legendary NYC graffiti artist Dr. Revolt that paid homage to Marvin Gaye's 1976 classic I Want You. It's hard to believe in the time of Puffy's heyday, Camp Lo had developed and delivered a style of hip hop that was not only fresh and creative, but also straight up dope. Flipping intricate rhyme styles over some of Rap's finer beats, the fact that Camp Lo got main stream radio play and love from big time club DJ's is a testament to the essence of what hip hop was once about: raw talent and originality! 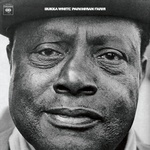 Remastered from the original tapes and pressed on loud double vinyl." 2018 repress. "De La Soul and A Tribe Called Quest may have been more commercially successful, but the afrocentric, jazz political rap movement and unfadeable Native Tounge Massive started with the Jungle Brothers. Their debut full length Straight Out the Jungle opened up many doors that are walked through by today's artists like Mos Def, Common and even Kanye West. Their taste for jazzy horn samples helped kick-start the entire jazz-rap movement, and their James Brown fixation was one of the first. Plus, the group's groundbreaking collaboration with legendary house producer Todd Terry, 'I'll House You,' paved the way for numerous hip-house hybrids that shot up the dance and pop charts over the next few years and appeared to be a staple on every East Coast Rap Album from '88 until '92. The opening track 'Straight Out the Jungle' samples the classic Bill Withers drum break as the JB's tell you where they are coming from. 'Black Is Black' (featuring a young Q-Tip) and 'Sounds Of The Safari' introduces the pro-black edge, while the sexually subtle classics 'Jimbrowski' and 'I'm Gonna Do You' are funny, clever and timely. Hard, smart, fun, clever and brilliant, Mike G., Africa Baby Bam and Sammy G may not have realized it but they crafted a classic rap album that stands the test of time. Available here on high grade, loud pressed, double vinyl for the first time ever!" "B.B. King's 1967 live album Blues is King puts his live performance dexterity on full display, in the very city of electric blues' inception. Originally recorded in a Chicago club one November night in 1966, King and a group of session heavyweights unleash a set of standards and originals upon an eager audience. B.B. 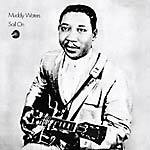 King is flanked by several revered blues sidemen including Sonny Freeman on drums, Kenneth Sands on trumpet, and Louis Satterfield on bass, to name just a few. In the end, the star of Blues is King is King himself, frequently bantering with the club audience, and spinning musical stories of heartache and rage with his impassioned vocal roar, and precision blues guitar zeal. An unequivocal must-have for any blues fanatic, and a perfect audio depiction of King's invigorating live act."